Baahubali 2 Box Office Collections Prediction Will it break its Predecessor’s Record at Box Office? Baahubali 2 is undoubtedly the most awaited films of the year 2017 and I don’t remember any film in the history of Bollywood to spark such a craze or excitement before the release. 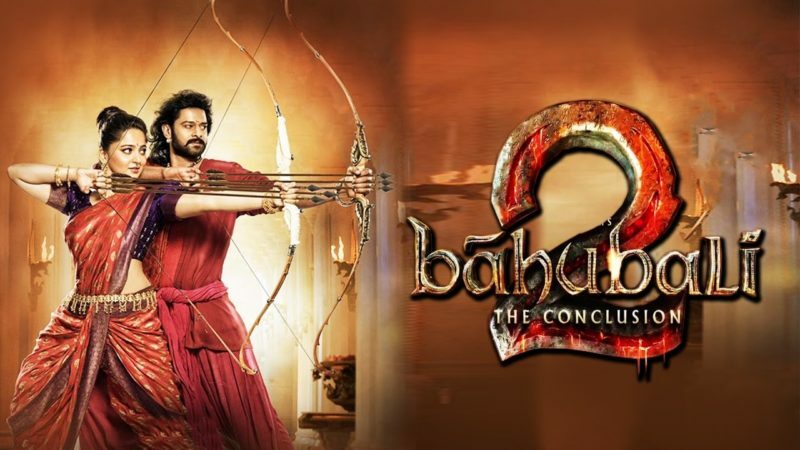 While the 2014 film Bahubali – The Beginning gained attention before its release because of the gigantic way the movie was filmed, it also sowed the seeds for the sequel with a simple scene and the national question that followed around the franchise later on. The official trailer of Baahubali 2 – The Conclusion has already generated more than 32 million views on YouTube and the video is trending at #37 currently on YouTube. This shows the craze around this movie and how eagerly the fans are waiting for its release to find the answer to that ultimate question. After SS Rajamouli and his team impressed us with Bahubali 1, it was only evident that we would wait for the sequel with the same excitement and anticipation. However, the anticipation and the excitement increased 10 times as fans were left with a cliffhanger during the climax of the prequel. Hence, the stage was already set for Bahubali 2 and no matter what, there are no doubts whatsoever that the film is going to be a blockbuster. Although the enthusiasm for Bahubali 2 hasn’t faded a bit over the past 2 years, it only got elevated when the first trailer for the sequel was released on 15th March 2017. Call it a marketing strategy or smart move, the trailer was released at the right time as the film is scheduled for a next month release on 28th April 2017. However, the sequel has a legacy to follow and with so much hype and anticipation, the stakes are already high as people are expecting a lot from this film. Hence, a pinch of disappointment or dissatisfaction could result in a huge slump for the movie. With the release of the trailer, many industry trade pundits have already started their Box Office predictions of Bahubali 2 The Conclusion. Considering it to be the last and final film of the franchise, both the producers and the fans are having high hopes for this film. 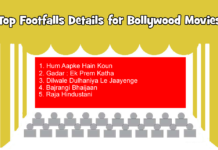 While everyone is busy with their own prediction of Box office collections of Bahubali 2, we at Filmy Keeday have also made our own assumptions after some quality research and past performances of the film’s prequel. Before we get on to the Box Office predictions, I want you to know that Baahubali 2 has already started making money for the makers by earning more than Rs. 500 crores in theatrical rights worldwide. Being a multilingual film, the film will be released nationwide targeting all the major film industries in the country. Considering the fact that the movie is made simultaneously in Tamil and Telugu as well as dubbed in Hindi, the film will attract audiences from every nook and corner of India. The sequel has earned over 120 crores for the theatrical rights of the Hindi version and more than 130 crores for the Telugu version. Considering the fact that the film will be released in either Tamil or Telugu in other South Indian states, the film has sold its theatrical rights for 10 crores and 45 crore in Kerala and Karnataka respectively. And, not to forget, 47 crores are collected for the rights in Tamil Nadu as well. 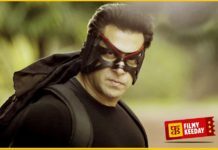 If that’s not enough, then the film has already earned more than 45 crores in exchange for the distribution rights in North America, alone and the USA numbers are yet to be disclosed. The film’s music and satellite rights have already skyrocketed after such as huge response. However, the sale of theatrical right or satellite rights isn’t the topic of discussion but the box office collections. Given the fact that Baahubali 1 collected more than 650 crores INR at a time when not many knew about the film. Now, the things have changed as the film is no more just a South Indian film but has become a national saga. Also, this time more territories will be target compared to the prequel. I am expecting more than 200+ crores at the Box Office from Hindi dubbed version itself. Now, the film is basically a South Indian film made simultaneously in Tamil and Telugu language. Also, the stars in the film are quite famous already in these regions. Hence, considering both the hype and popularity of Prabhas & co, I am expecting over Rs. 100+ crore at the Box Office for the Telugu version, whereas around Rs. 50 crores each as Box Office collections in Tamil Nadu, Kerala, and Karnataka. So, at the Indian Box Office itself, FK predicts that Bahubali 2 – The Conclusion will collect more than 450 crores. Now, moving onto the overseas markets where the prequel made more than 70 crores, I am expecting a business of more than 100 crores at the overseas box office. In short, Box office collections of Bahubali 2 would be 550+ Crore Rupees, While most of you would argue that the total is pretty much low compared to the collections earned by its prequel, you must also consider the fact that the film is set to release in April during the IPL season. We are going to share Baahubali 2 Daywise Box office Collection Reports in this article. The most awaited film of the century, Baahubali 2: The Conclusion is all set to hit the cinema theaters near you from 28th April 2017. While the film is the sequel to its predecessor Baahubali: The Beginning, the film is also expected to break all the records set by the previous film. Since the release of the first film, Baahubali franchise has gained huge popularity among the mass. The fame and popularity of the film can be witnessed not only across the nation but also throughout the globe. 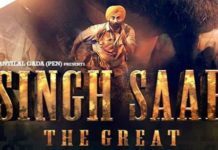 The hype and eagerness for the second film of the franchise can be anticipated by the fact that the screens are almost booked even two days prior to the official release of the film at major centers across the world. With such a storm of advance booking throughout the world, it is quite acceptable that the Baahubali 2 will rock at the box office at least for the first weekend collections. Considering the fact that the film will be released in multiple languages, the film is bound to get an opening like never before. Originally filmed in both Tamil and Telugu simultaneously, Baahubali 2: The Conclusion will also be screened in Hindi, Malayalam, and Kannada based on audience demographics. 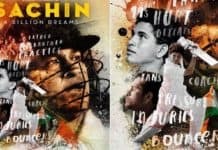 In short, the film will be available for all the 1.3 Billion people across India unlike other Hindi or regional films which are restricted in certain geographical centers. Thanks to the advance booking trend, the screens are already houseful in Tamil Nadu till 2nd May. Also, for the first time in the Tamil film industry, a film will be released in record 650 screens throughout the state. In addition to this, the film will be screened in nearly 9000 screens throughout the country as it will be released in different languages throughout the country. 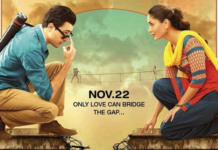 This is the first time for an Indian film to be screened in such a record number of screens. Based on the advance booking scenario at the major hubs of Mumbai, Hyderabad, Bengaluru, Chennai, Pune, and Kolkatta, it can be easily observed that Baahubali 2: The Conclusion will witness around 80-90% occupancy for the first weekend. The box office collection of Baahubali 2: The Conclusion will set new records. It is all set to give a tough ride for the likes of Salman Khan, Aamir Khan, Shah Rukh Khan, and Akshay Kumar, who will find a new benchmark for box office success. The first day box office collection of Bahubali 2 will definitely cross 100 crores as per the advance booking scenario. It is expected to easily break the previous first-day collections record of Baahubali: The Beginning by a huge margin. Total First-day collections of Baahubali 2 is 108 crores it can be slightly more than 108 crores may bu 115 crores, it becomes the first film to cross 100 crores in India on Day 1. Total box office collections of the opening weekend are 395 crores in India and total 509 crores worldwide. Total Collections of Baahubali 2 the conclusion. You can bookmark this page we will update the reports and the results of the film.